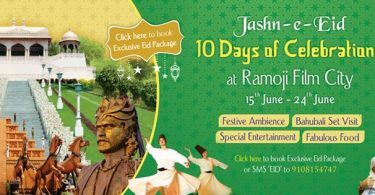 Are you looking for a hassle-free and relaxing summer vacation with abundant fun & entertainment in India? Summer Vacation is a must especially for kids to beat off their academic stress. 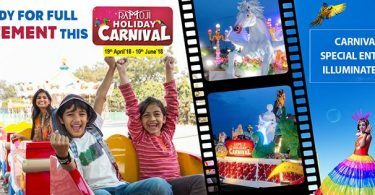 Book your tour tickets to Hyderabad & make sure you block 2 Nights & 3 Days exclusively to experience splendours of Holiday Carnival 2018 at Ramoji Film City. 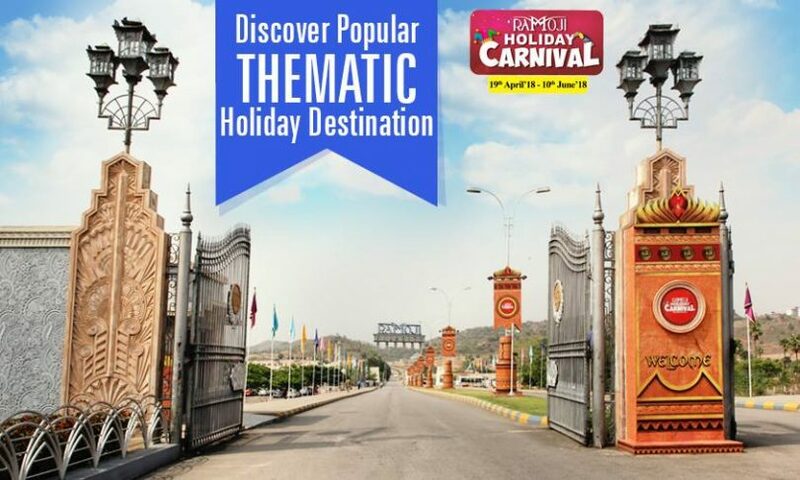 To give you all a wonderful experience, we have great offers offering you the widest choice to explore wonders of The World’s Largest Ramoji Film City. The day starts spotting colourful peacocks walking around the entrance of Film City, depicting as if the National Birds are welcoming our esteemed guests with a natural backdrop of great hill view. The welcome charm continues with an enigmatic opening ceremony at Magnificent Eureka Fort. Remember that the day is damn packed with unlimited fun, joy & excitement. 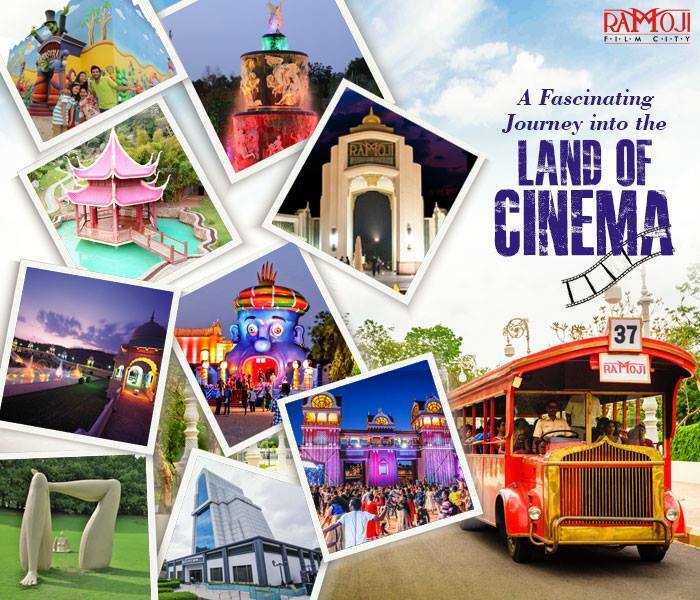 Every moment of your tour leaves you awe-struck with Spectacular Film City Tour, Eco Tour, Studio Tour, Fundustan – Kid’s Fun Zone & enthralling Sahas Adventure land, lovely Movie Making experience, the essence of cinema charm & many more cools your excitement of experiencing film city. 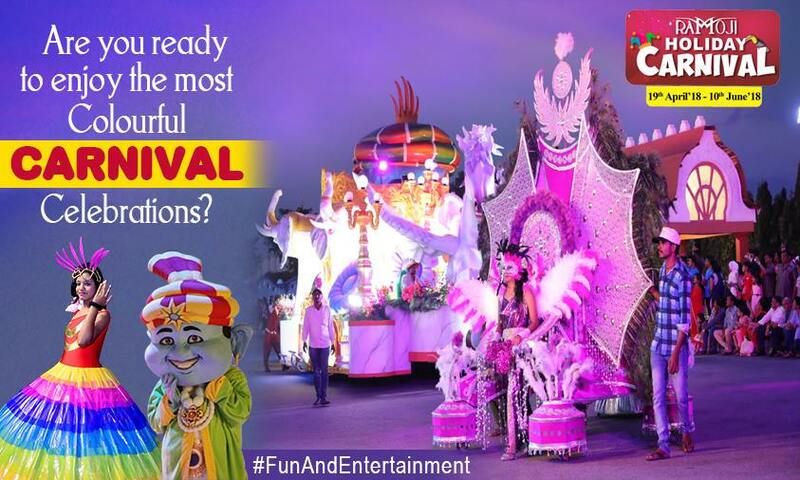 And the most glamorous Holiday Carnival Celebration is a must to experience. 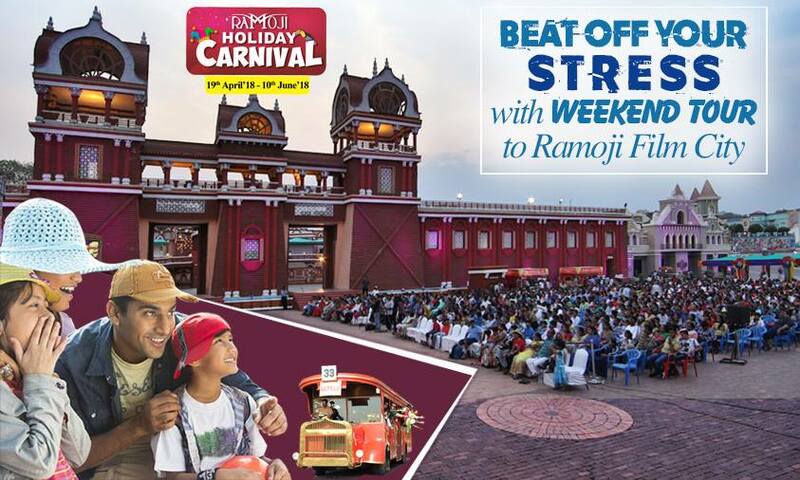 Evenings are special & enchanting with spectacular Live Blockbuster performances, Carnival Delights & illuminated film city. 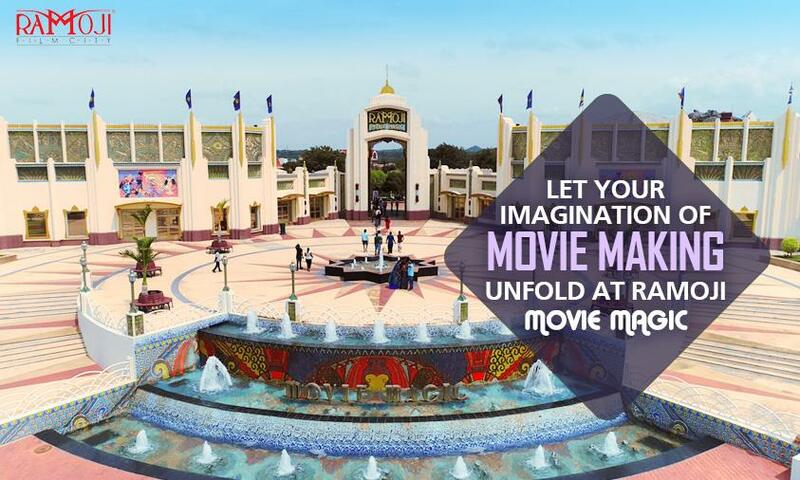 Never miss witnessing the charm of spectacular evenings at Ramoji Fim City. Relax & enjoy your stay in our hotels offering heart-warming hospitality. Book right away by availing best discounts on 2 Nights & 3 Nights stays packages.